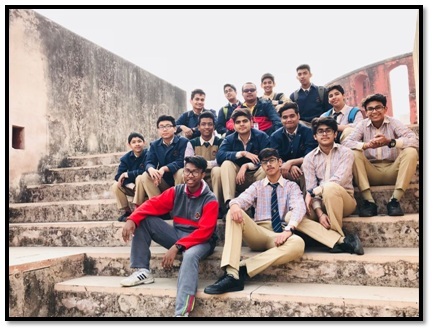 Students of class IX went on an educational trip to JantarMantar on 12th January 2018, which is rightfully regarded as the crown of India’s heritage. 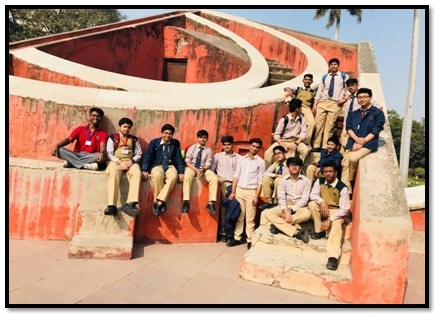 JantarMantar or also known as Yantra Manta, “Calculation Instrument” consists of 13 architectural astronomy instruments namely Ram Yantra, SamratYantra, JayprakashYantra, Mishra Yantras etc. Students were made aware of both the historical aspects and the scientific importance of the monument as a tool for the accurate measurement of time and astronomical phenomena, by careful observation of the day and night sky as well as constellations and positions of various celestial bodies in the past. 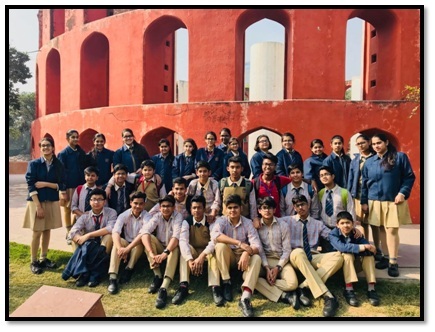 This ancient astronomical delight filled the curious minds of these budding learners about the significance of astrology and the usage of the various tools.